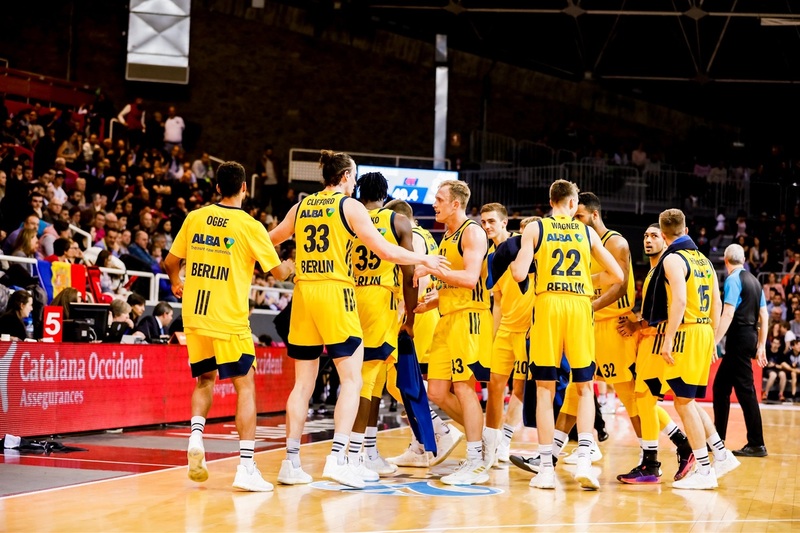 Only two teams are left, with Alba Berlin and Valencia Basket Club, in this seasons 7Days Eurocup competition. It’s a duel of two great spanish coaches. Spanish coaching legend and coach of the year Alejandro Garcia Reneses against Jaume Ponsarnau. In this article FullBasket will give you a quick preview of the upcoming Eurocup finals series. Finally a trophie for ALBA? Since Coach Aito arrived in Berlin, the club is improving day by day. Many European journalists and basketball experts, call them the Golden State Warriors of Europe, just because they play fast and selfless basketball. If they have the opportunity to run transition, they do. We see many off-ball screen with quick cuts leading into layups and dunks. Luke Sikma is the key player, the heart and soul in this mix of young and experienced roster. He shares the ball great and is creating his own shot when it comes to crunchtime. This years Eurocup MVP and former Valencia forward will for sure bring out his A-game to lead his squad to the first title in the Aito era. They missed plenty of chances to bring a title to the capital of Germany. Few weeks ago, they lost another cup final against FIBA Champions League final four participant Brose Bamberg. This Eurocup title could be the first for Senor Reneses Garcia, while his time in Berlin. This is the slogan, which the Valencia officials started for the 7Days Eurocup final series against ALBA. They want to give everything to bring the third Eurocup title to the port. The tickets for the first game in PABELLON FUENTE DE SAN LUIS were already sold after short time, so also the fans want to do everything to bring this title, after they have won it in 09/10 and 13/14. Compared to the germans, Valencia has a way more experienced team. 28 years old in average, could be the deciding factor in the end, because elsewise the matchups on every position are more than close. We saw often in the past, teams with really experienced players, which played high-pressured playoff-series like these already, are calm when it comes to the end of big games. With Sam van Rossom and Rafa Martinez they have even two players, who won previous Eurocup titles. But I would not say, the Spains are the clear favourite, because of their experience. Especially in the semis, Peyton Siva caught fire and scored 19,5 points in average. He is a great variable point guard, who shoots the ball great from distance (51% from deep), shares the ball every time he sees someone open (8,5 assists per game). Sometimes he throws the ball away too often (more than 3 turnovers every game). PS is a really present player, because every time he steps on the floor, he is controlling the whole game tempo and can destroy the opponents defense all alone. If the guards of coach Ponsarnau do not control him right from the start, he could keep fire burning from his last great performances and gives his squad an incredible advantage from the start.